SAN JOSE, December 8, 2008 - Cisco today introduced new technologies and solutions that will enable Internet Protocol (IP) networks to become the platform for a new generation of video and rich media applications and services. This new class of technologies is designed to enable advanced communications, collaboration and entertainment experiences through video- and rich media-optimized service provider, business, and home networks, known as "medianets." Data-based communications are being replaced by video and rich media, which is straining the architectural foundations of both public and private networks serving consumers and businesses. This network transformation toward rich media-optimized networks is the driver behind Cisco's video strategy and represents Internet networking's growing impact on the daily lives of consumers and professionals alike. "The Internet and IP networks as we know them are changing," said Marthin De Beer, senior vice president of Cisco's Emerging Technologies group. "In the near future, 90 percent of consumer network traffic will be video and rich media, and new medianet technologies and devices will drive the evolution not only to new networks, but immersive new experiences made possible by combining video, rich media, voice and data on a single networked platform. As businesses look to reduce costs and increase productivity, medianet solutions will enable new methods of networked collaboration and virtualization, such as seamless language translations over Cisco TelePresence, which will eliminate communication barriers in the workplace." Professional/traditional broadcast video content will become 80% of all Internet video viewed on PCs/laptops by 2012. Traffic associated with user-generated video content will triple from 2008 to 2012. Global VoD traffic more than doubled from 2007 to 2008 (increased by a factor of 2.4). 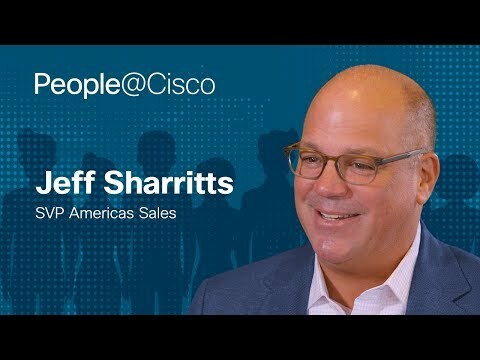 "Video is a transformational force in the world today," said Tony Bates, senior vice president and general manager of Cisco's Service Provider business group. "We are seeing consumers and enterprises embracing the power of video to foster better communications, entertainment and information gathering. Cisco foresees a new generation of Internet-based video and multimedia experiences running on medianets that will create new opportunities for service providers, content providers, and businesses - and entirely new experiences for consumers." Cisco's Emerging Technologies group today announced a media processing platform for businesses that simplifies live and on-demand media sharing across PCs, mobile devices and other digital screens, by seamlessly formatting video and rich media for viewing on any device. The create once and share anywhere Cisco Media Experience Engine 3000 provides media conversion, real-time post production, editing, formatting, and network distribution capabilities in a single networked solution to help businesses develop targeted visual communications that drive intimacy with employees and customers. AT&T Inc. (NYSE:T) announced today the availability of multipoint, intercompany connectivity via the AT&T Telepresence Solution. The solution allows companies to extend Cisco TelePresence multipoint meetings beyond the enterprise boundary to help enable meetings with customers, suppliers and partners using the AT&T Business Exchange. Cisco announced today that Sonaecom, SGPS, S.A., Portugal's leading provider in the telecommunications, broadband, media, and software and systems information has selected Cisco Visual Quality Experience (VQE) technology for its Clix SmarTV Internet Protocol television (IPTV) service. Sonaecom currently offers IPTV services to subscribers across Portugal via an ADSL network and plans to reach 1 million homes via an optical fiber-to-the-home network by 2010. As part of the mid-November introduction of the most powerful edge router in the industry, Cisco announced that its new ASR 9000 incorporates the Cisco Advanced Video Services Module (AVSM), a major innovation enabling terabytes of streaming capacity at the aggregation edge while simultaneously offering content caching, ad insertion, fast channel change and error correction. The Cisco AVSM eliminates the need for standalone content-delivery network elements and inherits all the high-availability characteristics of the router, which optimizes the network insertion point for advanced content services and moves content sourcing closer to the consumer. Fast channel change and onboard error correction for both unicast and multicast video traffic helps ensure that errors can be detected by any set-top box and retransmitted within milliseconds to maintain a transparent and optimized visual experience for the audience. Cisco today introduced Cisco TelePresence over Satellite to enable connections where high-bandwidth wired connections are unavailable. This capability was recently demonstrated in partnership with Verizon and Wal-Mart to connect troops in Afghanistan and Iraq with their families in the United States. Cisco also announced the delivery of multipoint intercompany capabilities as detailed in today's announcement with AT&T, increased encryption for all Cisco TelePresence calls and the availability of Cisco TelePresence Expert on Demand.